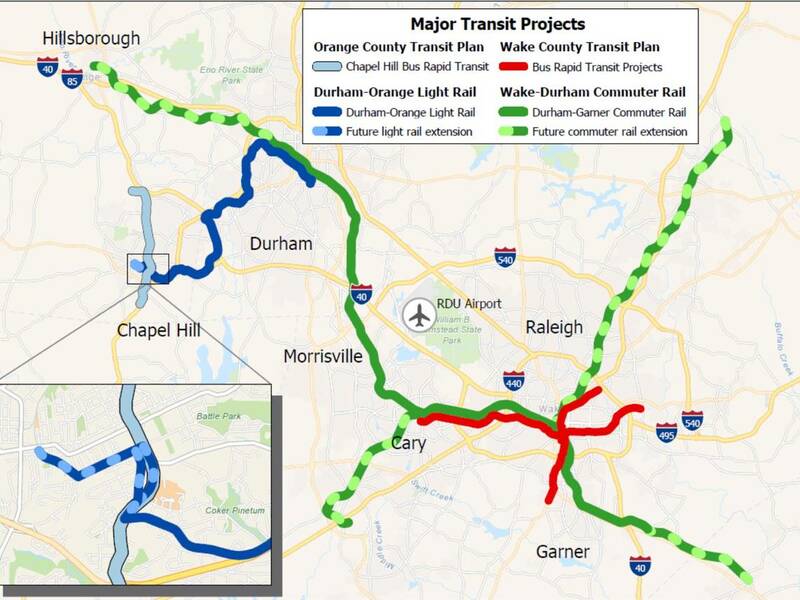 As expected, on Tuesday night the Board of County Commissioners voted unanimously to discontinue the Durham-Orange Light Rail Transit project. After a failure of negotiations, this step formally discontinues the project and begins a process to reallocate the funds that had been allocated to the light rail project through an amended Orange County Transit Plan. That process will involve lengthy conversations with community members and potential partners. A lot of time and effort, and difficult negotiation lie ahead. For me, it’s time to pause and consider what has been lost. Why Do Businesses Turn Their Backs on Bike Paths? Snow blankets our streets and sidewalks and covers the ugly. For a brief period of time there is a quiet beauty in cities and towns. Snow also acts as an important indicator of usage, if we choose to pay attention and use this information to improve our infrastructure. On streets, the snow reveals how narrow a lane can be, and how slip lanes (a bane of pedestrians) are unnecessary and can prototype, to transportation planners, where they can be easily eliminated. Read more about Why Do Businesses Turn Their Backs on Bike Paths? public hearing today 11/5 light rail. Read more about public hearing today 11/5 light rail. The Morgan creek trail has been in place and heavily used by residents of Chapel Hill for some time. The paths popularity is in spite of being isolated and lacking any connectivity at the ends. Most people, wanting to enjoy this fine path must drive on a highway, and then park their cars in a lot that is often overflowing on weekends. Families, living only a couple hundred yards away on either end, have no safe way to reach the greenway other than to drive there in a car. Town counter data backs up how popular this trail really is. A counter, installed on the path last year, recorded an average of 307 trips per day on the trail over the last 329 days. A total of 101,297 trips in all. Most users of the trail pass the counter twice as they head in and out from the lot, so that is over 50 thousand trips in less than a year.